Click the Layer Transform button and select an element from your scene in the Stage view. 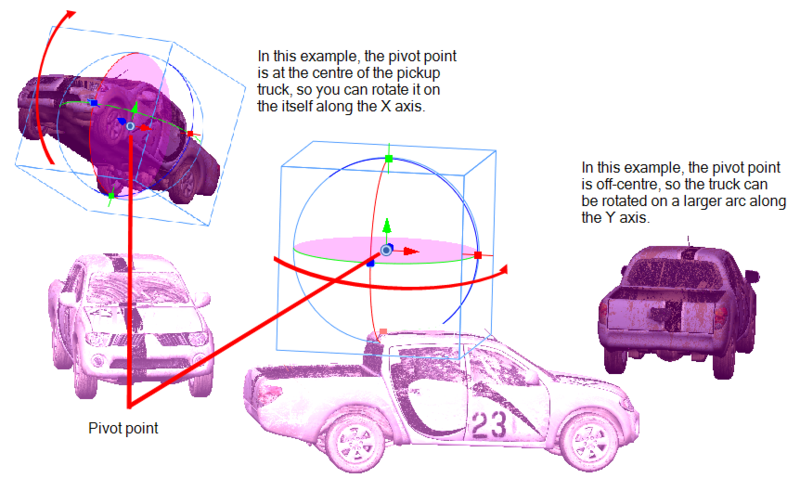 Drag the pivot point to the location at which you want to base the rotation. Using the X-axis, Y-axis, and Z-axis guiding lines, change the Yaw, Pitch, and Roll of the object. As you place the cursor on the guide lines, it will change to display with axis is being changed. Use the view windows to see how the object looks from the Camera, Top, and Side views.